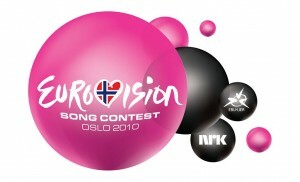 The countdown to Eurovision 2010 has entered a new phase within the last couple of days, now with less than a month to go before the semi finals get underway in Oslo. A number of entrants will compete in the two semi finals (on May 25 and 27), hoping to progress through to the grand final on May 29. Albania will take part in semi final No.1 on May 25. Albanian songstress Juliana Pasha will turn 20 just five days before she takes to the stage in the first semi final for Eurovision 2010. But don’t let her young years fool you – she’s been performing since she was still in single figures. The track, co-composed by Albanian music legend and TV presenter Ardit Gjebrea, is very pop. One of those little hidden Eurovision gems, with plenty of tempo, a great chorus and a killer vocal. The video clip is rather artistic and brings even more class to the table. Likey a lot. Previous Post: « SUNSETS SELL-OUT?